Martin Docherty-Hughes MP grilled the Secretary of State for Northern Ireland on a secret fine charged to the DUP's dark-money Brexit funders. An MP has today asked the government why the DUP’s main Brexit funder was fined £6,000, after openDemocracy’s revelations on Saturday. 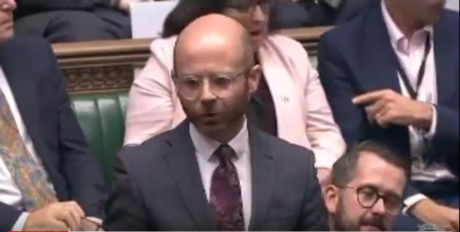 Martin Docherty-Hughes, the SNP MP for West Dunbartonshire, used Northern Ireland Questions to ask the Secretary of State James Brokenshire why the DUP’s Brexit donors had been charged a record fine by the Electoral Commission. The secretive donors to the Tories' partners in government are protected from public scrutiny by Northern Irish secrecy laws. “At the weekend, an investigation by openDemocracy revealed that the Constitutional Research Council – an organisation with close ties to the Scottish Conservative Party – had been given a record fine for failing to disclose the origin of the £425,000 donation to the DUP during the EU referendum. 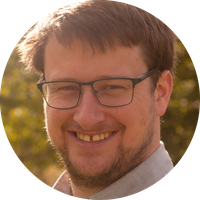 On Saturday, openDemocracy published our research into a mysterious fine charged by the Electoral Commission to an unnamed “regulated entity”. Our investigations have found that the fine was issued to the DUP’s controversial Brexit backers, the Constitutional Research Council, and that the only law it can have broken, given the size and nature of the fine, is of complying with rules requiring them to tell the Electoral Commission where their funding comes from. Little is known about the Constitutional Research Council, other than that it is chaired by Richard Cook, who is former vice-chair of the Scottish Conservatives. openDemocracy’s previous investigations have shown that Cook founded a business in 2013 with the former head of the Saudi Arabian intelligence service and a Danish man at the centre of a notorious Indian gun-running incident. On Friday, openDemocracy asked Cook himself whether his organisation was fined £6,000 for failing to disclose where it gets its money from. He declined to comment.